Nikola Jokic goes up for a shot over Willie Cauley Stein. 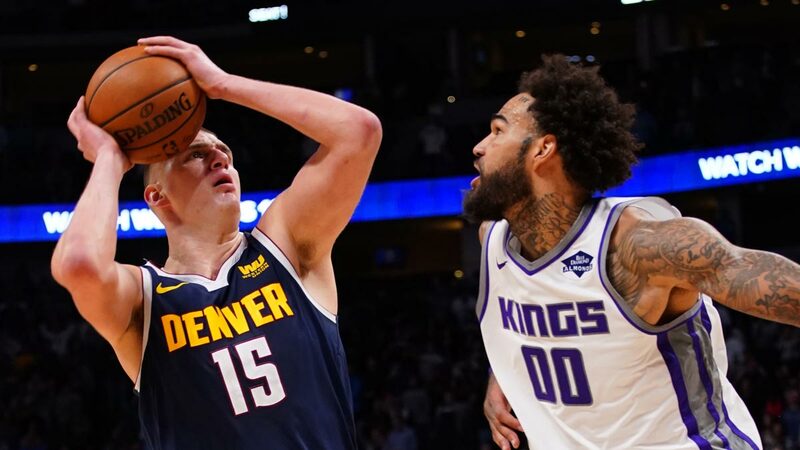 DENVER — Nikola Jokic tipped in a basket with less than a second remaining, Isaiah Thomas hit two big 3-pointers in his long-awaited Denver debut and the Nuggets held off the Sacramento Kings, 120-118, on Wednesday night (Thursday, Manila time). The 30-year-old Thomas showed flashes of his talent in shaking off some rust. He played 13 minutes and scored eight points — all in the third quarter — in his first NBA game since March 22 when he was with the Los Angeles Lakers. The Nuggets signed the two-time All-Star to a one-year deal in the offseason and gave him plenty of space to recover from his hip operation.